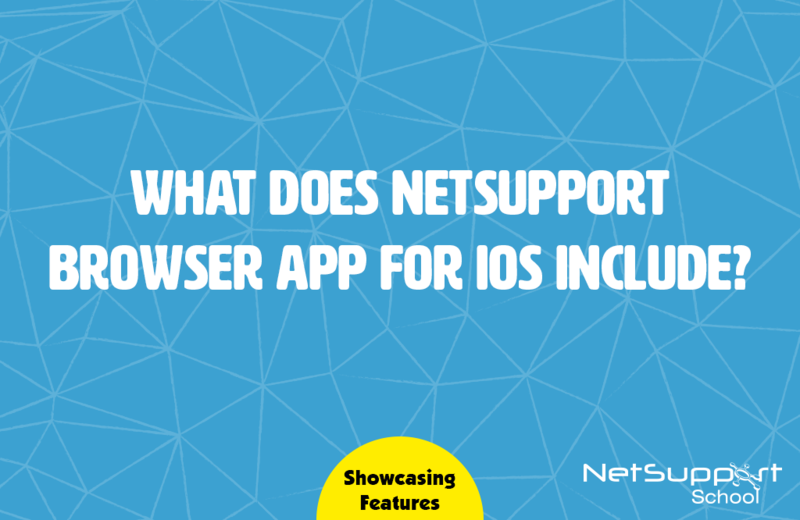 For schools using NetSupport School, it means that any students using iOS devices can now have Internet Metering and restrictions applied, helping teachers to keep students focused and on Task. Other features include: Chat, Message, Survey, Q&A mode, Thumbnails, Lock screen, Lesson Details, and Student Register. If NetSupport DNA is installed, the following features are supported by the Browser app: Hardware Inventory, Internet Metering and restrictions, Thumbnails, MDM deployment/configuration, Phrase monitoring, Safeguarding Resources and Report a Concern.